Thank you for visiting this website. 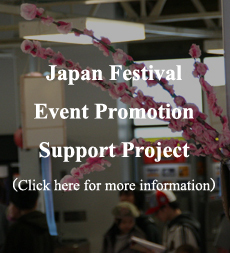 This website was made by the Japanese students who hosted Japanese Festivals at Vancouver Island University (formerly known as Malaspina University- College) from 2004 to 2007. The students hosted the event every year and each festival was a great success. Over 2000 people came to the festivals. This website was originally created for event promotion puspose, and now we decided to keep this website for the event volunteers who worked hard to make the events successful, and for the future VIU international students, and residents of Nanaimo to remember that we had the events in the past. Some of you may be planning to organize the same kind of event. We hope that this website will bring you some ideas of what you want to do for your event. It would be great to see same kind of events somewhere in the world. Please do not hesitate to contact us if you have any questions regarding how we organized this event. No portion of this website can be duplicated, redistributed, or manipulated in any form.